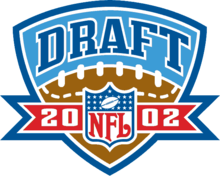 The 2002 NFL draft was the procedure by which National Football League (NFL) teams selected amateur college football players. The draft is known officially as the "NFL Annual Player Selection Meeting" and has been conducted annually since 1936. The draft took place April 20–21, 2002 at the Theater at Madison Square Garden in New York City, New York. The draft was broadcast on ESPN both days and eventually moved to ESPN2. The draft began with the Houston Texans selecting David Carr, and it ended with the Texans selecting Mr. Irrelevant, Ahmad Miller. There were thirty-two compensatory selections distributed among eighteen teams, with the Buffalo Bills receiving the most selections with four. The University of Miami was the college most represented in the draft, having five of its players selected in the first round. Although the Carolina Panthers finished with a 1–15 record which would normally have given them the first pick in each round, the Houston Texans were given the first pick because they were an expansion team. The league also held a supplemental draft after the regular draft and before the regular season. 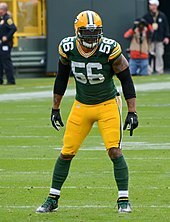 9 time Pro Bowler, Julius Peppers was drafted 2nd overall by the Carolina Panthers. 7 time Pro Bowler, Dwight Freeney was drafted 11th overall by the Indianapolis Colts. 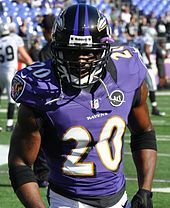 2004 NFL Defensive Player of the Year and Super Bowl XLVII Champion, Ed Reed was drafted 24th overall by the Baltimore Ravens. For each player selected in the Supplemental Draft, the team forfeits its pick in that round in the draft of the following season. ^ #1: Carr agreed to a contract with the Texans prior to the start of the draft. "2002 NFL Draft". NFL. Archived from the original on January 4, 2007. Retrieved January 8, 2007. "Draft-Weekend Trades". NFL. Archived from the original on March 11, 2005. Retrieved January 17, 2007. "FFToday.com Draft Tracker". FFToday.com. Retrieved April 25, 2011. "2002 NFL Draft Pick Transactions". ProSportsTransactions.com. Archived from the original on May 21, 2011. Retrieved April 25, 2011. ^ a b c Tucker, Doug (April 20, 2002). "Chiefs Trade Up for UNC Defensive Tackle Ryan Sims". UNC (website) from AP. Retrieved April 14, 2011. ^ a b c Olney, Buster (April 21, 2002). "Giants Trade Up to Get Miami's Shockey". The New York Times. Retrieved April 14, 2011. ^ "Facts and figures on 2002 NFL Draft". Archived from the original on June 19, 2004. Retrieved January 8, 2007. ^ "Compensatory draft choices announced". Archived from the original on September 4, 2006. Retrieved January 8, 2007. ^ Philadelphia Eagles traded their 2001 third-round selection (88th overall) and their 2001 sixth-round selection (187th overall) to Miami for the Dolphins’ 2002 second-round selection. "2001 NFL Draft – Weekend Trades". cnnsi.com. CNN. Retrieved May 5, 2007. ^ "2001 Heisman Trophy winner". Archived from the original on December 2, 2009. Retrieved October 11, 2008. "2002 NFL Draft: Six Years Later". Football Outsiders. April 15, 2008. Retrieved April 25, 2011.